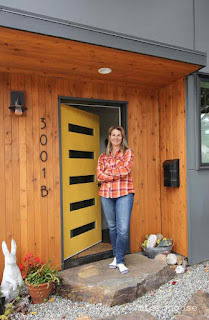 Q & A with Patti, who weighs in on what it’s like to create—and live in—a backyard cottage. 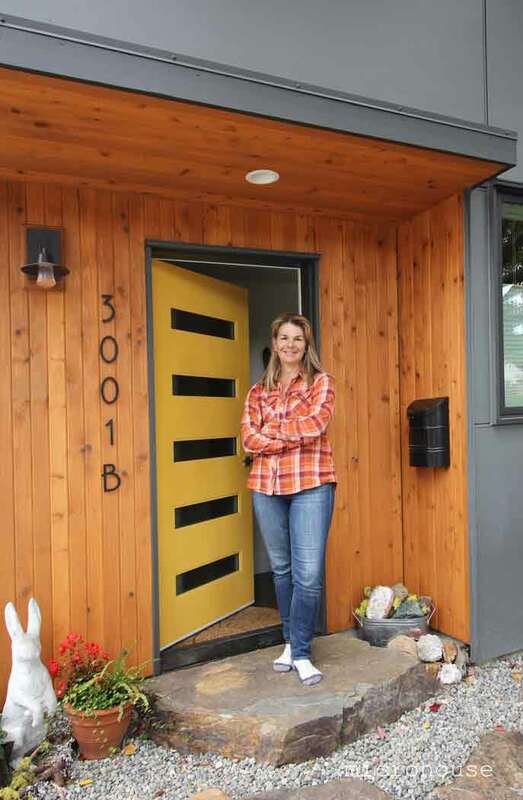 For outdoor adventurers and cooking enthusiasts Patti and Austin, designing their dream home with Microhouse led them to the essence of what they value most. Located in the backyard of Austin's longtime Madison Valley residence, the couple’s backyard cottage offers a connection with nature as well as the space to indulge in relaxing downtime and gourmet meals. 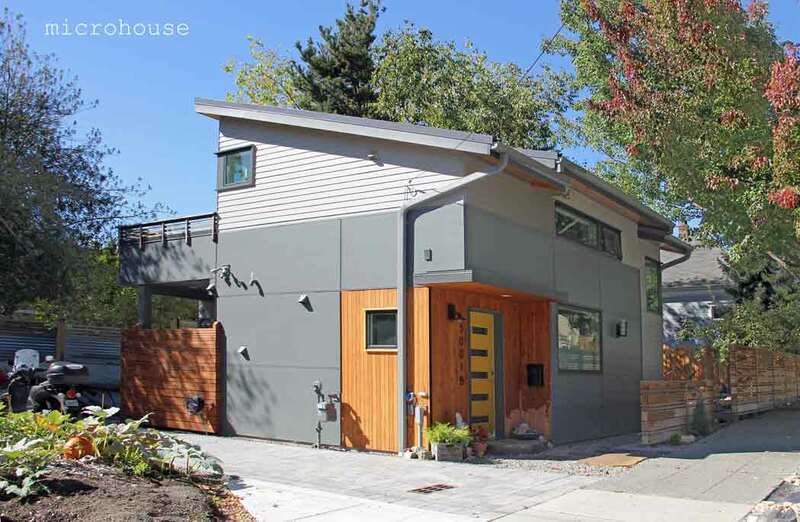 Living in their new space means the couple can rent out the house on their property and live rent and mortgage free in Seattle. The home's open floor plan, with a second-floor master suite and office, allows for a well-appointed kitchen on the first floor. A rooftop deck overlooking the treetops creates a connection to the outdoors--where Patti and Austin can often be found biking, skiing or kayaking when they’re not enjoying their backyard cottage. Patti: My boyfriend Austin and I were looking at possible living arrangements. I owned my own home in Bellevue and he owned a house in Seattle. He had heard of the DADU (detached accessory dwelling unit) 'movement' through his stepbrother in Portland. We decided to build on Austin’s lot in Seattle. The 'old' house was only 650 square feet, but with an 'under code height' basement with a separate entrance so we knew we could use that as storage for all our sports gear [and rent out the rest of the house]. We would actually be up-sizing our living space in the DADU! We knew that by renting out the 'main' house when we were done we could live essentially mortgage/rent free in Seattle. Did you have hesitations about embarking on the project? The entire process of permitting, inspections, decisions. We knew we wanted to do it but really were newbies with the whole building scene in Seattle. How were the hesitations overcome? 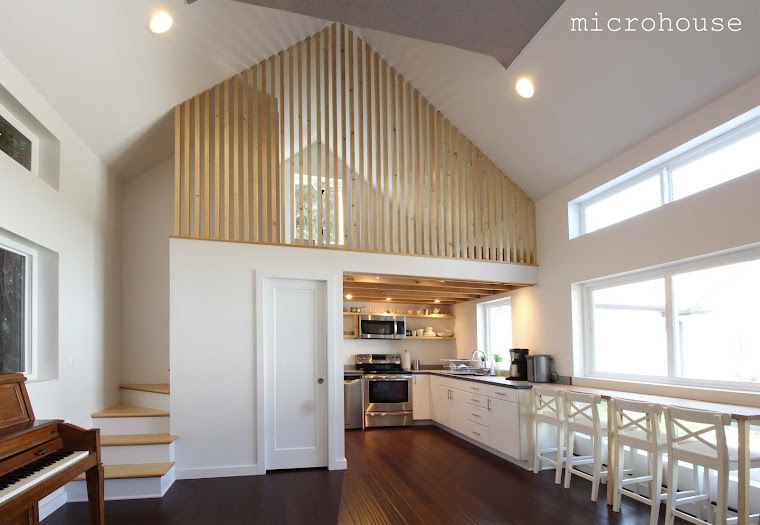 We had a great architect and really top-notch contractor to work with through the process. It made all the difference. What were the most surprising parts of the process? It is not cheap to build. Per square foot can be expensive. We also built in a liquefaction zone requiring expensive foundation prep, and had other fees including the sewer capacity charge. The best surprise has been how well built our new house is. We virtually spend cents a day for heating in the winter. The whole house can almost be heated when we cook! What features of your home make it unique to you and Austin? We built an outdoor bike storage/tool storage area into the plans. The kitchen is pro level, as Austin is a trained chef and loves cooking. We brought as much light in as possible as we both really love the outdoors. This winter we are adding a retractable awning to our big upstairs outdoor deck to give us winter outside space! What is a key piece of advice you'd give to someone thinking about a backyard cottage? Work with a good architect, someone that understands the rules and can make maximum use of small space, and a good contractor! Really think about how you move in your day and what is important to you. 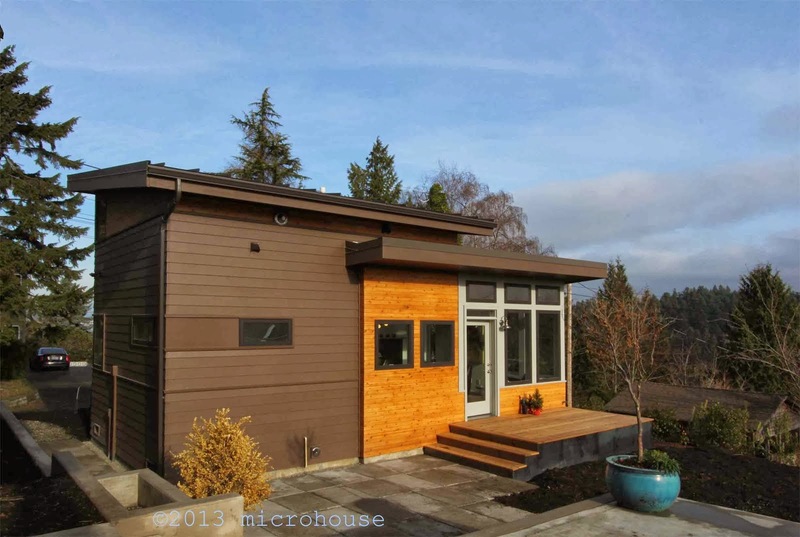 Any other thoughts you'd like to share about building and living in a backyard cottage? We love our home. We also love telling people the story. We can live extremely well and comfortably, small. And because of these decisions can rent out the main house and live for free in the city. I really couldn't want more space to live in than we have.